What happens when a black detective goes undercover in the KKK? An extraordinary true story. In 1978, Ron Stallworth is the first black detective in the history of the Colorado Springs Police Department. In the local paper, he finds a classified ad for the Ku Klux Klan - and a P.O. box for interested enquiries. All he's expecting are some racist brochures and a few scraps of information about the white nationalist terrorists in his community. What he gets is a phone call inviting him to join the KKK. So he does. Launching an undercover investigation of incredible audacity, Ron recruits his partner Chuck to play the 'white' Ron Stallworth, while Stallworth himself talks to the Klan over the phone. 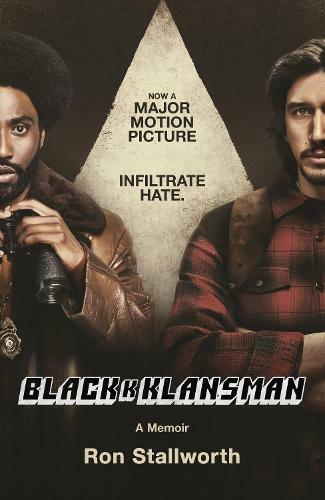 Black Klansman is an amazing true story and a rollercoaster of a crime thriller; a searing and timely portrait of a divided America and the extraordinary heroes who dare to fight back.